of a petaline galaxy, but not Meena. No, they're not. They're white lilies, Meena. But they're not, Meena. This is not a lake. These are white lilies. Those are dragonflies. bird. That is what all this is. 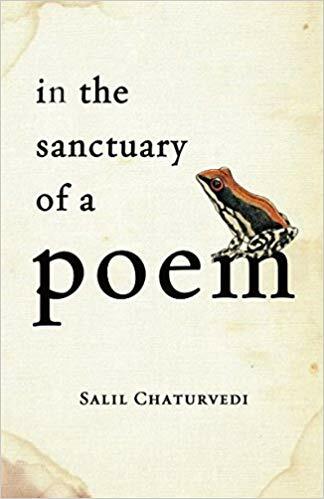 Salil Chaturvedi’s short fiction and poetry have appeared in numerous journals, including Wasafiri, Guftugu and Indian Cultural Forum. He is the Asia-region winner of the Commonwealth Short Story Competition, 2008, and he won the Unisun/British Council Short Story Award in 2009. He also won the Wordweavers Poetry Contest in 2015. His debut poetry collection titled, In The Sanctuary Of A Poem, was released at the GALF, 2017.